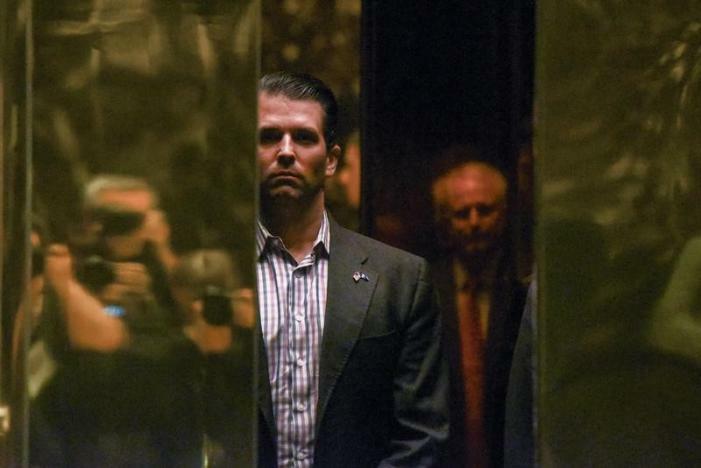 President Donald Trump's son, Donald Trump Jr., agreed to meet with a Kremlin-linked lawyer during the 2016 election campaign after being promised damaging information about Hillary Clinton, the New York Times reported on Sunday, citing three advisers to the White House. Trump's then-campaign chairman, Paul Manafort, and his son-in-law, Jared Kushner, also attended the meeting at Trump Tower on June 9, 2016, two weeks after Trump won the Republican nomination, the Times reported. "After pleasantries were exchanged, the woman stated that she had information that individuals connected to Russia were funding the Democratic National Committee and supporting Ms. Clinton," the statement said. 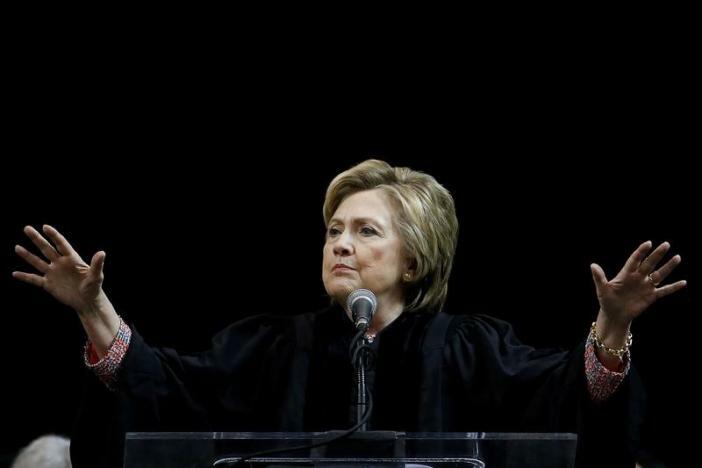 Clinton was the 2016 Democratic presidential nominee. "Her statements were vague, ambiguous and made no sense. No details or supporting information was provided or even offered. It quickly became clear that she had no meaningful information." President Trump was "not aware of and did not attend" the meeting, Mark Corallo, a spokesman for Trump's legal team, said in an emailed statement. Trump Jr. said he was asked to attend the meeting "with an individual who I was told might have information helpful to the campaign" at the request of an acquaintance he knew from the 2013 Miss Universe pageant. "I asked Jared and Paul to attend, but told them nothing of the substance," he said. "The meeting lasted approximately 20 to 30 minutes," he said. "As it ended, my acquaintance apologized for taking up our time. That was the end of it and there was no further contact or follow-up of any kind. My father knew nothing of the meeting or these events." Allegations of the Trump campaign's ties to Russia have cast a shadow over Donald Trump's first five months in office. The June meeting was the first confirmed private meeting between members of the president's inner circle and a Russian national, the Times reported, citing confidential government records and interviews with people familiar with the documents. The Kremlin has denied U.S. intelligence agencies' conclusion that Moscow tried to tilt the election in Trump's favor, using such means as hacking into the emails of senior Democrats.